>> Fenwick HMG Spinning Rod Review – Is This The Rod You Have Been Looking For? 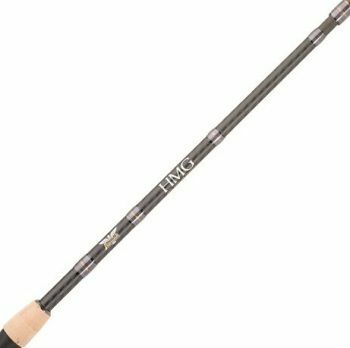 Fenwick HMG Spinning Rod Review – Is This The Rod You Have Been Looking For? Fishing is one of the most popular activities in 2018. 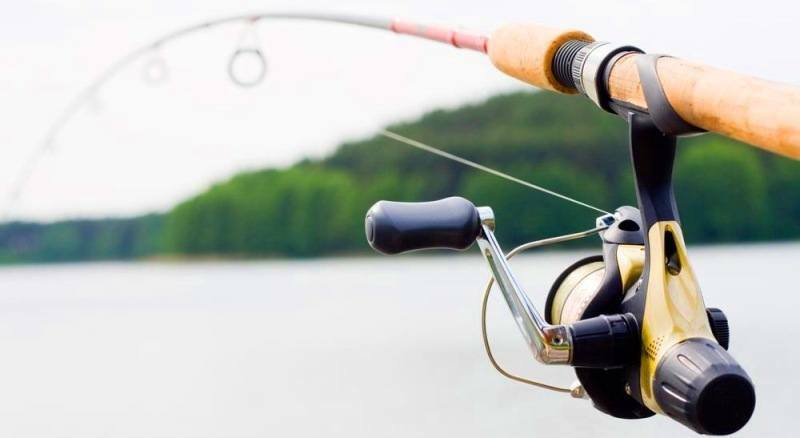 As a matter of fact, it has been so popular in the past decade that each year more than 45 million people from the United States go on a fishing trip. It is a relaxing, fun and desirable activity which is based on a unique bond between a man and nature. But, this bond can be improved if you use the right equipment. Without a question, rods are the main part of the equipment and they are something that makes a true difference. Here we will provide you the Fenwick HMG spinning rod review and reveal which type of fishermen will benefit the most. Here is a quick recap on what we think of this spinning rod. Best for beginners & intermediate fisherman. Why Consider Fenwick HMG Spinning Rod? The first and the main advantage of the tested model is the price/quality. 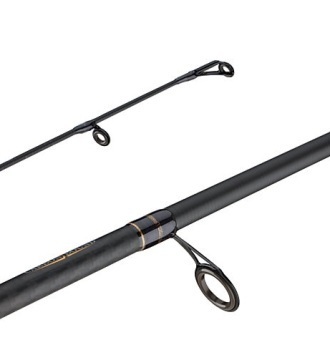 The rod is extremely affordable, yet none of the essence or advanced features have been lost. It is still a well-made spinning rod of the highest quality, which offers plenty of advantages. This also makes it suitable for beginners and fishermen who are looking for a cheap alternative. Besides the affordable price, this rod comes with a high level of attention to the details. Each element is beautifully machined and it is coated for advanced protection. Even the handle is modern and actually better than most, equivalent models have to offer. The tested model was 6 feet and 9 inches, medium light version. However, you can get the same rod in different versions. We will add the fact this makes the spinning rod suitable for different type of fishermen and for different applications. It is on you to choose which version you will actually need and which one is the best for the type of fish you want to catch. All Fenwick rods are known for the strength they offer to the owners. The model on our test is no different. It can easily withstand any load you may use and it will stay fully operational even after years of use. 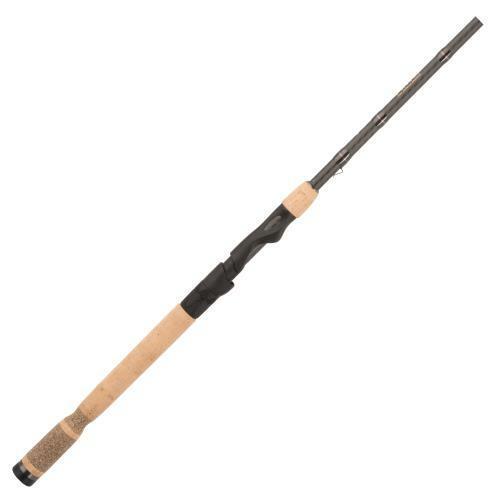 The last, but not least, this is a single-piece spinning rod. For most of you, this will be an advantage However, we should point out that practicality isn’t the stronger side of these rods. They are more complicated to transport and they require more space when stored. All of this suggests that intermediate fishermen will benefit the most out of the spinning rod we have here. It is durable, strong and made to perfection. You will enjoy using it and you will be completely satisfied with the results it provides. The rod in question is currently known as one of the most popular models in the segment. It is appreciated due to several reasons, but the main advantage are still the features you are going to get. As such, we will have to mention and explain the main features this rod offers. The construction is on the highest level possible. This rod has a lot to offer thanks to the advanced construction. In other words, you will be the owner of a rod which is made of graphite (the blank) and layered with the Carbon Veil hoop fibers. A combination of these two materials makes it a hybrid rod. Hybrid rods are known for strength and sensitivity. They are not as sensitive as graphite models, but they are far more durable. Once again, we have mentioned that this unit is made for heavy-duty operations. A reel seat is a place where the reel will be attached to the rod. In this case scenario, we are looking at Fuji VSS reel seats. They are very smooth when used and they are great as a budget-friendly alternative. Don’t forget that even more expensive rods come with the same reel seats, but they cost more. The reel seat will make sure the reel and the rod are perfectly paired and there is no unexpected movement. All you have to do is to get a decent reel and you are ready to use this reel for any type of fishing you have on your mind. We will have to recommend you that some research with the most suitable reel is required. Take the reel seat and the rod specifications and make a wise decision before purchasing a reel. The guides here are not the most advanced ones on the market, but they are just right for its ultralight weight. They are reasonably strong, they are durable and they are made to be as light as possible. In a nutshell, this makes the entire rod better for different fishing operations. It is also an advantage which must be mentioned. The design of the guides is simple and practical. They are immune to the corrosion and they will generate less friction than most versions available on the models offered by competitors. Here we have the second-main advantage of the model we tested today. The handle is actually TAC version, which has been used by professionals and which is more than just ideal for all types of fishing. The handle is also adapted to provide an excellent level of grip at all, especially wet weather conditions. 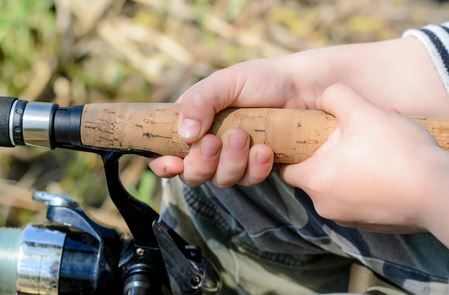 Maybe this isn’t an important feature for you, but all, professional fishermen will tell you that a handle on a fishing rod is the next best thing, besides the strength and the sensitivity. The level of comfort you will get mostly depend on the handle. 1. What is the style of this fishing rod? It is a single-piece spinning rod. 2. Can it be used with braided line? Yes. We have tested it with Power Line braided and it worked perfectly. 3. What are the available sizes? It is available in 6.6 feet, 6.9 feet and 7 feet lengths. We tested the smallest version. 4. What tensions are supported? You can have this rod in medium light or heavy. 5. Which reel seat it uses? It is powered by Fuji VSS reel seats which offers great performances at a reasonable price. 6. Which handle it has? 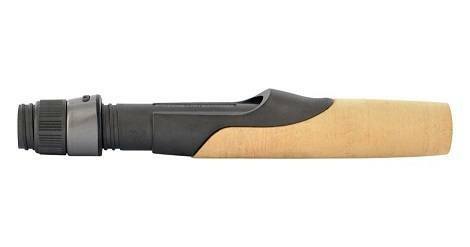 The handle is made of cork and it is latest TAC handle, known for excellent grip at all weather conditions. 7. Does this spinning rod require maintenance? It requires a low level of maintenance compared to similar models. 8. Which materials have been used in the manufacturing process? The rod comes made of graphite, the blank which is then layered with carbon. It is very strong, yet sensitive. 9. Is the warranty included? All rods made by this manufacturer come with an impressive warranty that covers all the elements. We should add that the customer support is excellent as well. 10. Can this item be delivered outside the United States? At the moment there is no this option. However, you are able to find a local dealer and purchase the rod. 11. I am a professional. Is this rod suitable for me? The answer is yes and no. It is great for intermediate operations or as an addition to your arsenal. 12. Is this rod suitable for beginners? It is probably one of the best alternatives for beginners. It is easy to use, fast and well-made. Of course, it is affordable as well. 13. How this rod performs when compared to equivalent models? The unit is actually better than similar versions made by other brands. Strength and the handle are the main advantages. Editor's Note: Couldn't decide if this is your type of spinning rod? Don't worry, we have other brands waiting for you to discover here. Our Fenwick HMG spinning rod review has ended and it is now up to you to decide whether this spinning rod is for you. Based on our verdict, it will be best suited for for beginners and intermediate fishermen. Fenwick rods review usually points out that its strength is impressive. Here we can see the same consternation. The rod we tested looks, feels and acts like an extremely strong unit. After all, this is possible when a rod is beautifully made by one of the best brands on the business. We rate this product 4.5 out of 5 stars. I use my Fenwick HMG bait casting rod on North Carolina Coast and this no doubt is the most dependable rod that I own. I am very satisfied with this purchase. Yup, the Fenwick brand is indeed amazing. You should try out their spinning rod too. Superb fishing experience and value for money.